North East India's places, cuisines, tech tutorial blogs, music, videos and news. 1. "I can't help but laugh at how perfect I am." 2. "Swedish style? No. Yugoslavian style? Of course not. It has to be Zlatan-style." 3. "Zlatan doesn't do auditions." - When Arsenal manager Arsene Wenger offered the then-teenaged Ibrahimovic a trial. Chemotherapy is often considered as one of the most powerful tools we have to treat cancer, and research continues to find new chemotherapy drugs as well as new uses for existing ones. At the same time, newer types of drugs are being developed that work in different ways to attack cancer cells. These types of drugs include targeted therapy, which aims to more precisely identify cancer cells while doing less damage to normal cells, and immunotherapy, which uses the body’s own immune system to help find and destroy cancer. Bavencio (avelumab) is the fourth in a new class of immunotherapy drugs called checkpoint inhibitors to be approved for bladder cancer, giving doctors and patients new and promising options for treatment. The targeted drug Kisqali (ribociclib) may help certain postmenopausal women with advanced hormone receptor (HR)-positive, human epidermal growth factor receptor-2 (HER2)-negative breast cancer live longer. Nerlynx (neratinib) is a targeted therapy given to women after initial treatment to lower the chances their cancer will come back. It’s approved for women with early-stage, HER-2 positive breast cancer, a type that is more likely to recur than other types of breast cancer. Rydapt (midostaurin) is the first targeted therapy approved to treat adults with acute myeloid leukemia (AML). It’s for people with AML who have a mutation in a gene called FTL3 and used along with chemotherapy. Besponsa (inotuzumab ozogamicin) is for adults with B-cell precursor acute lymphoblastic leukemia (ALL) that didn’t respond to other treatment. This type of leukemia can get worse very quickly, and few other treatment options are available. Kymriah (tisagenlecleucel) is a type of CAR T-cell therapy. It’s the first gene modification therapy ever approved by the FDA. It’s for certain children, adolescents, and young adults with a form of ALL. The FDA approved Tafinlar (dabrafenib) and Mekinist (trametinib) to be used together to treat people with a specific type of non-small cell lung cancer that has spread in the body. These are the first FDA drug approvals for a type of lung cancer with a BRAF V600E gene mutation. Opdivo (nivolumab), a type of immunotherapy, was approved to treat people with hepatocellular cancer, the most common type of liver cancer, who were previously treated with Nexavar (sorafenib), a type of targeted therapy. Yescarta (axicabtagene ciloleucel) is the second gene modification therapy using CAR T-cells to be approved by the FDA. It’s to treat adults with certain types of large B-Cell lymphoma. Calquence (acalabrutinib) is a targeted therapy for treating certain adults with mantle cell lymphoma. a type of lymphoma that has historically been challenging to treat. Bavencio (avelumab) is the first drug to be approved for Merkel cell carcinoma, a rare and aggressive type of skin cancer. The FDA in 2017 also approved Bavencio for treating one of the main types of bladder cancer. The FDA approved Keytruda (pembrolizumab), a type of immunotherapy drug, to treat people with certain cancers of the stomach or gastroesophageal junction, the area where the stomach connects to the esophagus. It works on cancer cells that test positive for the PD-L1 protein. The FDA also approved a new lab test to check for this protein. In 2017, the FDA also approved Keytruda for some adults and children with advanced solid tumors that have certain gene changes – either high levels of microsatellite instability (MSI-H) or mismatch repair deficiency (dMMR). It’s the first time the FDA approved a drug based not on cancer type, but on the genetic change itself. 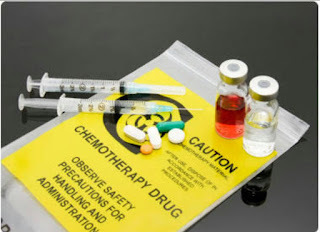 Mvasi (bevacizumab-awwb) is the first biosimilar approved by the FDA for treating cancer. A biosimilar is a product that has been shown to work almost exactly like one that has already been approved. In this case, the biosimilar Mvasi (bevacizumab-awwb) works the same way as Avastin (bevacizumab), but is expected to be much less expensive. 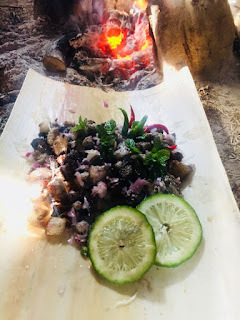 FOOD BLOG:TAKE A LOOK INTO BODO CUISINE!!! Download Deadpool2 Dubbed Hindi: Full HD download here!